Last night when I woke up in the middle of the night I picked up the book 1920 – The Year of the Six Presidents. Its an engaging book and so far most of the chapters have been excellent summaries of these past and yet-to-be Presidents. A long look at the bibliography and chapter notes assured me that the author had been thorough and I trust his judgments. 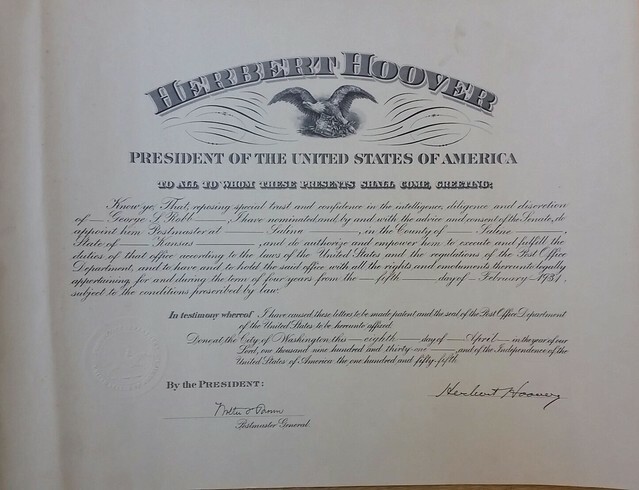 There was a one sentence in the seventh chapter about Julius H. Barnes having been President Herbert Hoover’s “Colonel House.” That’s all it said and I did not find Mr. Barnes name in the Book’s index. He is, however, amply referred to in a number of online links. Julius was a famous Duluthian and his name graced the old Barnes-Ames Building that housed several of our School District’s miscellaneous educational programs. The building sits just below Old Central across from second street and I went there many times to volunteer teach at the ESL (English as a Second Language) classes. It also housed our Alternative Learning program. When I was volunteering a group of scientists were using its old empty swimming pool to study neutrino’s or something like that. It may once have been the old YMCA which was a recipient of Barnes’s largess. Among other vapors of his life in Duluth is the Lark O’ the Lake Restaurant on Superior Street with wonderful sandwiches and malts. The Lark was an early water landing aircraft that Barnes commissioned. As for the Colonel House reference, I found that doubly interesting. House was the right-hand man for Woodrow Wilson up to and through World War I after which Wilson’s towering ego and paranoia shunted House off to the sidelines much to the detriment of Wilson’s legacy. 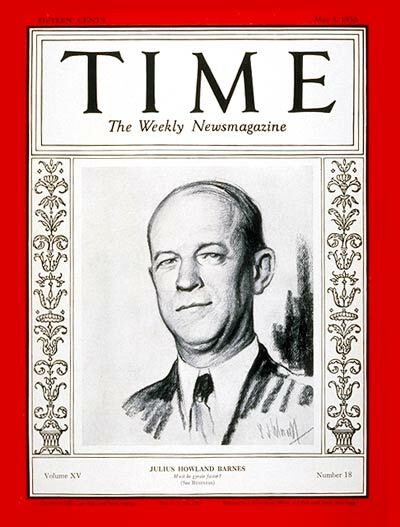 Barnes was one of Herbert Hoover’s young aides during Hoover’s good works in Europe through the “Great War” and later became the Nation’s President of the U.S. Chamber of Commerce which I suspect is the reason he made it to this Time Magazine cover from May of 1930 while Hoover’s legacy was itself about to go kaput. Barnes survived the Depression and returned to Duluth where he fell on hard times in his later years and died “penniless” in 1959. I’ll bet my Grandfather George Robb could have given me a good history of Julius. Its because my Grandfather would become an active Republican in the Jazz Age that I’m eager to read this particular history. He was still recovering from his war wounds and catching the notice of Kansas’s Republican establishment in 1920. Later Barnes’s old boss would reappoint George Robb postmaster of Salina, Kansas.